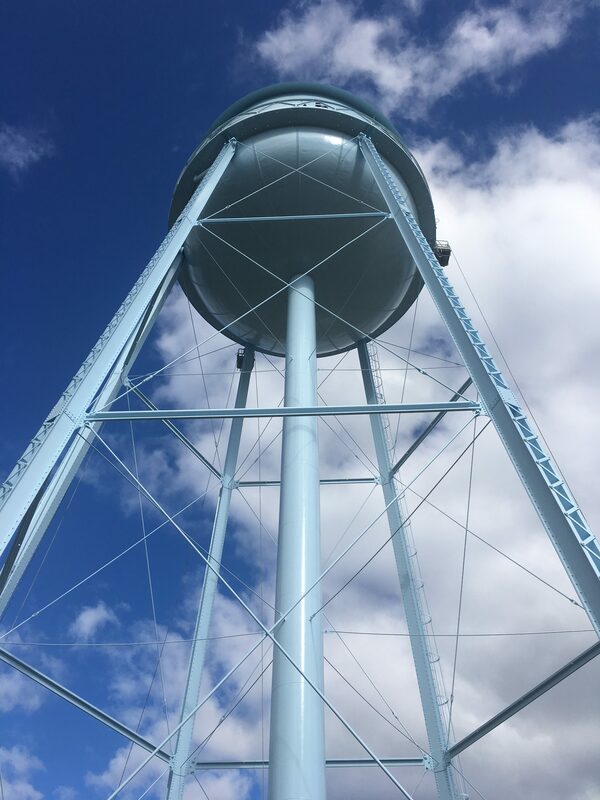 After 25 years of service, Maryland Environmental Service’s 250K Elevated Hospital-Front Water Storage Tank located in Crownsville, Maryland was due for reconditioning. Fortunately, the project posed no real or extraordinary challenges, according to the owner, consulting engineer, inspector and contractor. Induron was proud to be selected as the manufacturer on the project and enjoyed working with Horizon Bros. Painting Corporation (contractor) and HRV Compliance Verification Associates, Inc. (inspector) to complete this project. To re-protect this asset, Induron specified the interior and exterior paint systems detailed below. The interior system finish is a solvent-free, single-finish, coat high-build system that reduces labor and offers maximum corrosion protection. The exterior system finish, Indurlux 9400 Epoxy Siloxane, provides a polyurethane-like finish with exceptional weatherability, chemical resistance, gloss and color retention and contains no isocyanate. Indurlux 9400 is also available in almost any color. Both systems were compliant with Maryland’s VOC regulations, which are some of the nation’s most stringent! Maryland Environmental Service commented that Indurlux 9400 provides a wonderful gloss, and they expect the color and gloss to provide years of aesthetic value! Check out the before and after photos below!